Did you know that World Elephant Day is on the 12th August? Nat Geo Kids: What is it about elephants that makes you love them? 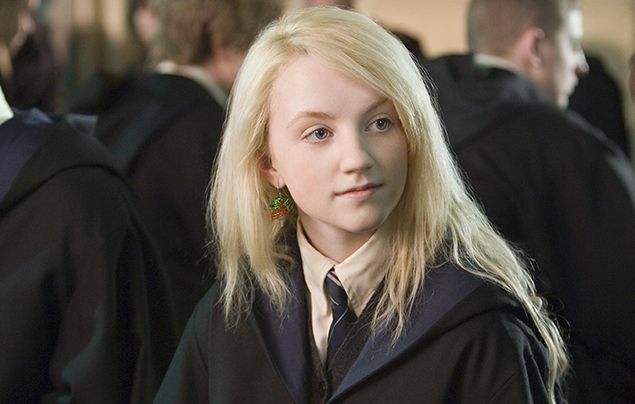 Evanna: They are intelligent, social and emotional animals full of love and compassion for their friends and family, and even protective of humans and other species if they find them in trouble! 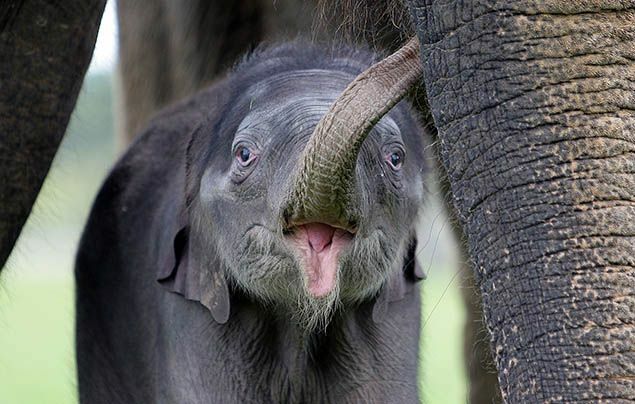 Baby elephants are sweet and playful, adult elephants are beautiful and wise. They are huge, powerful animals but when left alone elephants are peaceful, gentle creatures. I love how they can multi-task with their trunks to breathe, smell, pick fruit from trees, drink, wash, trumpet and cuddle – imagine if humans had noses like that! Elephants are the most incredible creatures and the world’s largest land mammals and herbivores. What’s your favourite fact about elephants? Evanna: There are so many extraordinary facts to choose! I love how elephants can smell water up to 5 km (3 miles) in distance. Elephants communicate with each other up to 10 km (6 miles) away by low-frequency rumbles that they listen to through their feet and up to their ears, which deserves credit for being a superpower! Elephants are an essential part of an ecosystem’s plant biodiversity too, because they spread seeds for hundreds of miles via their poop, a natural fertiliser! 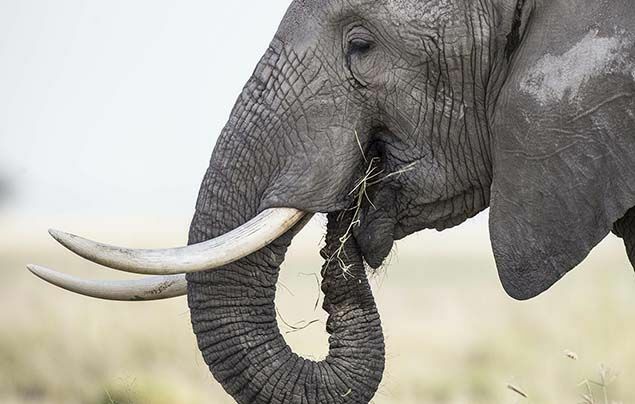 Without elephants, other plant and animal species would go extinct too. Elephants make forests come to life. What’s the difference between African and Asian elephants? Evanna: Both male and female African elephants have tusks. Only adult male Asian elephants have tusks. Females only have tushes, tiny protruding tusks you can barely see. Asian elephants are smaller overall and their ears are shaped like the country India. African elephants’ ears are bigger and shaped like the African continent. What led you to support Asian elephants in particular? Evanna: Many people think about the threat African elephants face from poachers trying to take their ivory, but we also need to fight for Asian elephants’ survival and protection in all the countries where they live, such as India and Thailand. The Asian elephant is a highly endangered species with less than 40,000 left worldwide, less than a tenth of the African elephant population! Sadly, few people know this. They think the main threat to elephants’ existence is ivory. 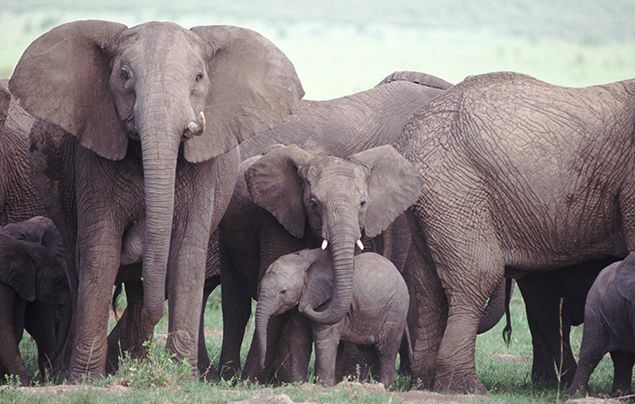 This is true for African elephants, but for Asian elephants, the threat also comes from other factors as well, such as: habitat loss, conflict with humans, and baby elephants being taken from the wild to be used in festivals, circuses, trekking, rides and other photo opportunities with tourists. I learned from Save The Asian Elephants (STAE) that elephants have to be beaten to be “tamed” for elephant rides and other entertainment. Elephants are wild animals, they only let people ride them because their spirits are broken. It has opened my eyes to how entertainments popular with holidaymakers can be cruel to elephants. Next time I go to the incredible and magical India I would like to see wild elephants living free in in their natural habitat. Why is World Elephant Day (12 August) an important day? Evanna: Elephants are being driven to extinction because of humans. It’s very important to raise awareness of the elephant species’ plight before it’s too late. The illegal wildlife trade – selling animals taken from their natural homes and environments, or selling items made from animal parts – urgently needs to be stopped to save elephants worldwide. What would your dream future for elephants look like? Evanna: All elephants should live in their herds, free in the wild in protected forests, with “elephant corridors” (safe crossings) maintained so they can roam for miles without running into human-elephant conflict. 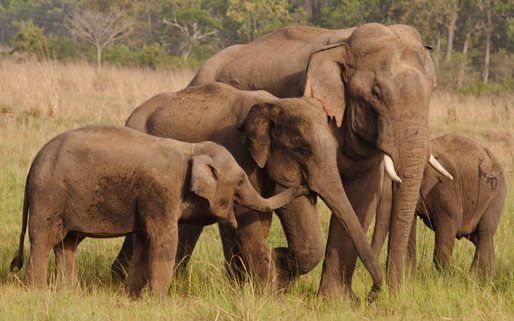 If it’s not possible for former captive elephants to live in the wild they should live in genuine sanctuaries where the only human interaction is for the elephants’ care and best interest. No poaching, no beatings, no tricks, no costumes, no riding, no chains and no cages! What advice would you give for supporting elephants this World Elephant Day? Evanna: You would be shocked at how many of your closest friends and family simply don’t know the damaging effects of elephants being used for entertainment. People only support elephant tourism because they want to be close to a magnificent animal. But when they understand what it takes to ‘break’ an elephant’s spirit they won’t want anything to do with it. Raising awareness among family and friends can make a huge difference. If we don’t help elephants, the species won’t exist in the future. Extinction means gone forever. Click here to find out more about Save The Asian Elephants (STAE).